On this site, I will mostly talk about my life and career as a full-time illustrator…as a creator, appreciator and adorner of books and stories. 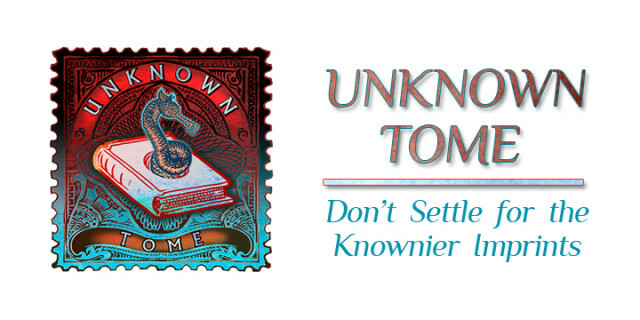 UNKNOWN TOME is simply my publishing imprint. It is my personal playground to practice my art and release unbridled creations. You could say that anything I generate (book, game supplement, poster, fine art) outside of someone else’s contract, brand, label or vision falls under UNKNOWN TOME when it is published. The name implies underground work. The logo that I made implies a love of books, be they ancient paper or fresh pixels. The bookworm is eating the book, which is symbolic of how I feel when I see artwork or writing that I like. I feel like I am eating something that I needed, and never realized it. The muzzle of the worm is a key, because consuming stories or knowledge is how I believe we advance together, as people. Eventually, there will be some sort of store page here, where you could support my label, if you wished to be kind or wanted one of my creations. I will always try to offer work that I believe is the absolute best I can do. Thank you for being here.